A 64-year-old Michigan man is in was arrested in Macomb County on accusations he sexually assaulted children at an unlicensed day care center he ran with his wife. The prosecutor charged Stanley Duncan of Fraser with eight counts of first-degree criminal sexual conduct, which has a penalty of up to life in prison and a mandatory minimum sentence of 25 years. His case is pending in the 39th District court in Roseville and his preliminary examination is scheduled for July 20, 2011. According to the Oakland Press, the court indicated that he didn’t have a lawyer of record. Two parents allegedly came to police with concerns that their 3- and 4-year-old daughters had been sexually assaulted. According to Fraser police Lt. Dan Kolke, as reported by The Macomb Daily of Mount Clemens, The Detroit News and the Detroit Free Press, Duncan admitted abusing the girls and others. I do not know from personal experience whether Mr. Duncan made admissions to Fraser Police or not but I can tell you that allegations of confessions by police in criminal sexual conduct cases require great scrutiny. This is especially true when there are alleged to be children victims. In my 16-years of specializing in criminal defense and criminal law, I have had many CSC trials and I’ve represented hundreds of clients in sexual assault and molestation cases. Police sometimes lie about confessions. This may be most common when there is a sympathetic victim, an undesirable defendant and weak evidence. I’ve heard police and prosecutors proclaim that they “do God’s work.” The problem with this “holier than now” attitude is that it inevitably leads to the belief that “the ends justify the means.” These attitudes ultimately lead to false inculpatory evidence, hidden exculpatory evidence and, yes, false reports of confessions by law enforcement. Those unethical officers who would engage in this type of conduct figure, “who is someone going to believe…him or me?” Fortunately, I still believe that most officers and prosecutors do not engage in this type of behavior. Unfortunately, the tolerance for this type of conduct should be zero and defense lawyers must be tirelessly and fearlessly vigilant when their client’s report that evidence is falsified. As an example, I represented a man in the Frank Murphy Hall of Justice in Detroit, Wayne County, Michigan. He was charged with multiple counts of criminal sexual conduct. The allegation was that he was a Boy Scout leader and that he sexually assaulted several boys in his care. My client professed his innocence and that the alleged confession was manufactured by police. After considerable investigation, it was determined that the alleged confession was not written, the officer’s written narrative was not signed, and the circumstances of the alleged confession were highly suspicious to me. We went to trial on the case and argued to the jury that the confession was not accurate. The jury resoundingly found my client not guilty and told the court afterward that they did not believe the alleged confession was credible. I do not know who will be representing Mr. Duncan on his criminal sexual conduct case but I hope that the criminal defense attorney will provide passionate and zealous representation. 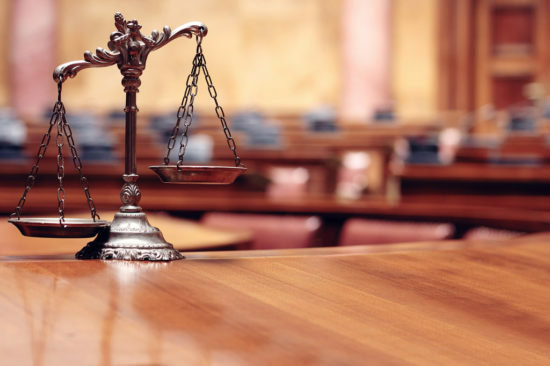 Most criminal defense lawyers do not have the experience to handle these cases and many of the ones that do just go through the motions rather that being the best lawyer possible for their client. The top criminal defense lawyers are never afraid to win! Mr. Loren M. Dickstein, J.D. Senior Partner, LEWIS & DICKSTEIN, P.L.L.C. We offer free consultations for anyone accused of sexual assault.Please fill out a Request for Assistance Form or call (248) 263-6800 for a free consultation. We will do everything possible to find a way to help you. Don’t be sold out by the lowest bidder, hire a Michigan Criminal Defense Attorney who will do whatever is necessary to get you the best possible outcome.